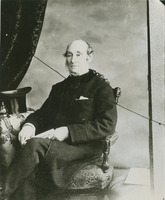 CLARKE (Clark), SEPTIMUS D., farmer; b. 1787; m. and he and his wife had at least five children; d. 15 Jan. 1859 in Preston, N.S. Septimus D. Clarke was one of more than 2,000 former slaves who were brought to Nova Scotia following the War of 1812. Having escaped from plantations in the United States, they travelled along its eastern seaboard in British naval vessels, and in 1815 the majority of the refugee blacks were settled in Preston Township. Preston was a township of stones, an infertile land with widely scattered patches of soil and trees and long, damp winters to which the new settlers were not accustomed. The blacks became subsistence farmers. On or before 19 Nov. 1816 Clarke, his wife, and their four children were established on a ten-acre farm by Theophilus Chamberlain*. The family endured numerous hardships and in December 1819 Clarke, now the father of five children, petitioned Lieutenant Governor Lord Dalhousie [Ramsay*] for more land. In support of his claim he reported that he and his family had produced “one hundred twenty bushels of potatoes besides other vegetables” and, having cleared most of the land he was licensed to occupy, he feared becoming “destitute of wood for fuel.” The petition requested 250 additional acres but Dalhousie suggested that he be given 100. A note on the petition signed by Surveyor General Charles Morris* states, “I think 50 acres in addition to what he has got, is as much as can be well afforded unless he is content to go some miles into the interior.” Clarke did not receive his additional grant, of only a further ten acres, until 1841, the same year in which he finally obtained clear title to his original farm. The petition reveals Clarke and his family as diligent farmers, and he also became active in community service. Clarke was involved in three major black organizations in Nova Scotia in the 19th century: the African Friendly Society, which encouraged black communities in Halifax County to provide mutual aid; the African Abolition Society, working for the “universal abolition of Slavery and the Slave Trade”; and the African Baptist Association, whose aim was to seek continuity among black worshippers by ensuring there would be black clergy to attend and officiate at services, thus providing the essential element of a free black community. These organizations all encouraged black leadership and the advancement of blacks in Nova Scotia and elsewhere. From 1846 Clarke acted in various capacities with these organizations. At the time of his death he was treasurer and secretary of the African Friendly Society, president of the African Abolition Society, and clerk of the African Baptist Association. In 1855, at the request of his good friend Richard Preston, Clarke preached the introductory sermon at the second session of the association. 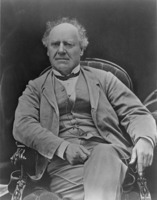 In politics Clarke supported the reformers who, under Joseph Howe*, were proponents of legislation granting blacks land ownership. Following the general election of 1840 he acted as vice chairman at a political dinner where he toasted those who carried the banners of reform: William Annand*, Thomas Forrester*, James McNab, and Howe. In legal matters Clarke, a man without formal education, relied upon the honesty of his white neighbours. They spoke highly of him. What he had to offer was his faith, and his devotion to duty, family, and the collective destiny of his people. He had learned that a price must be paid to keep the freedom he and his family enjoyed, and he paid it with the community service in which he was engaged until his death in Preston. His funeral service was held in the African Chapel in Halifax. PANS, RG 20A, Clarke, Septimus, 1820; RG 20C, 88, no.169. African Baptist Assoc. of N.S., Minutes (Halifax), 1854–59. Novascotian, 28 June 1832; 21 Jan. 1841; 24 Aug., 23 Nov. 1846. Belcher’s farmer’s almanack, 1859: 77. A. P. [Borden] Oliver, A brief history of the colored Baptists of Nova Scotia, 1782–1953; in commemoration of the African United Baptist Association of Nova Scotia, Inc. ([Halifax, 1953]). C. B. Fergusson, A documentary study of the establishment of the negroes in Nova Scotia between the War of 1812 and the winning of responsible government (Halifax, 1948), 11–13. [P. E.] McKerrow, McKerrow: a brief history of the coloured Baptists of Nova Scotia, 1785–1895, ed. F. S. Boyd, assisted by M. I. Allen Boyd (Halifax, 1976). Frank S. Boyd jr, “CLARKE, SEPTIMUS D,” in Dictionary of Canadian Biography, vol. 8, University of Toronto/Université Laval, 2003–, accessed April 22, 2019, http://www.biographi.ca/en/bio/clarke_septimus_d_8E.html.